International Sand Art Festival is going to be held from 1st December to 5th December along with Konark Festival at Chandrabhaga Beach, Konark, Orissa, India. This is for the first time that International Sand Art Festival is happening in India. 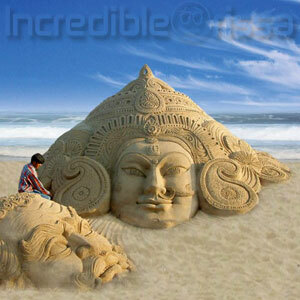 Eminent Indian sand artist Sudarsan Pattnaik is doing all the arrangements. He is the brand ambassador of International Sand Art Festival, India.